On May 24, UN Secretary-General Antonio Guterres released Securing our Common Future: An Agenda for Disarmament. May 24 was also Women’s International Day for Peace and Disarmament. PNND women leaders used the occasion to release an appeal Common security for a sustainable and nuclear-weapon-free world. 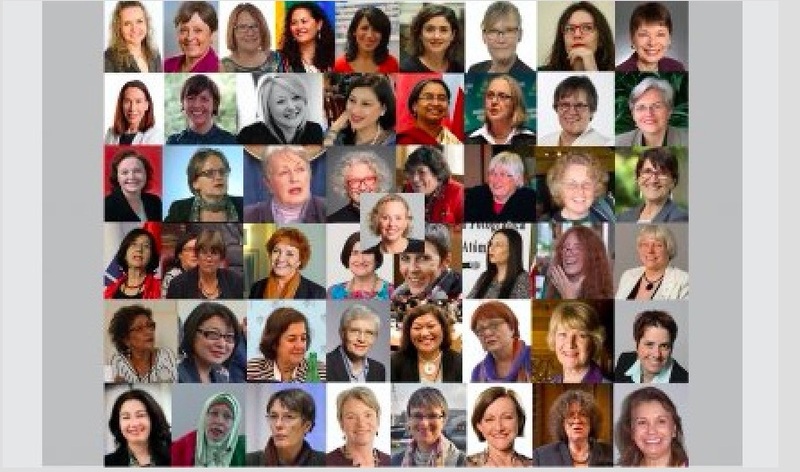 Governments must make better use of diplomacy, international law and common security mechanisms in order to prevent war and adequately address climate change and nuclear threats, according to an international appeal released in Geneva on May 24, 2018 by women parliamentarians from around the world. The appeal, Common security for a sustainable and nuclear-weapon-free world, was released to commemorate Women’s International Day for Peace and Disarmament and to give support to Securing our Common Future: An Agenda for Disarmament, the new disarmament agenda released in Geneva on May 24 by UN Secretary-General Antonio Guterres. ‘We are deeply concerned about the existential threats to humanity and the environment from climate change, nuclear weapons and unresolved international conflicts, especially those between nuclear-reliant countries,’ said Dr Hedy Fry, MP (Canada), Co-Chair of the Canada Section of PNND and Special Representative on Gender Issues for the Parliamentary Assembly of the Organisation for Security and Cooperation in Europe (OSCE). ‘The increased threats of nuclear-weapons-use by accident, miscalculation or intent led the Bulletin of the Atomic Scientists earlier this year to move the hands of the Doomsday Clock to 2 Minutes to Midnight,’ says Margret Kiener Nellen MP (Switzerland), President of the Swiss delegation to the OSCE Parliamentary Assembly. The appeal calls on governments, parliaments and civil society to act together to implement these goals. ‘I have joined other women parliamentarians in expressing support for the UN General Assembly’s decision for a high-level conference on disarmament to advance effective measures to build a framework for a nuclear weapon-free world,’ says Linda Duncan MP (Canada), Co-Chair of PNND Canada. ‘Those countries that still rely on nuclear weapons for their security should phase out nuclear deterrence, replacing it with international law, common security mechanisms and verified multilateral disarmament,’ says Baroness Sue Miller (UK), PNND Co-President. ‘The first step is for all nuclear-reliant states to implement the call of the UN Secretary-General to “ensure that the 72-year practice of the non-use of nuclear weapons continues indefinitely and is universally understood to be an inviolable norm,” says Alyn Ware, PNND Global Coordinator. The statement Common security for a sustainable and nuclear-weapon-free world has been endorsed by legislators from Australia, Austria, Bangladesh, Canada, Chile, Costa Rica, Finland, Germany, Jordan, Kazakhstan, Lichtenstein, Marshall Islands, Mexico, Netherlands, New Zealand, Norway, Portugal, Scotland, Sweden, Switzerland, the United Kingdom and the United States.